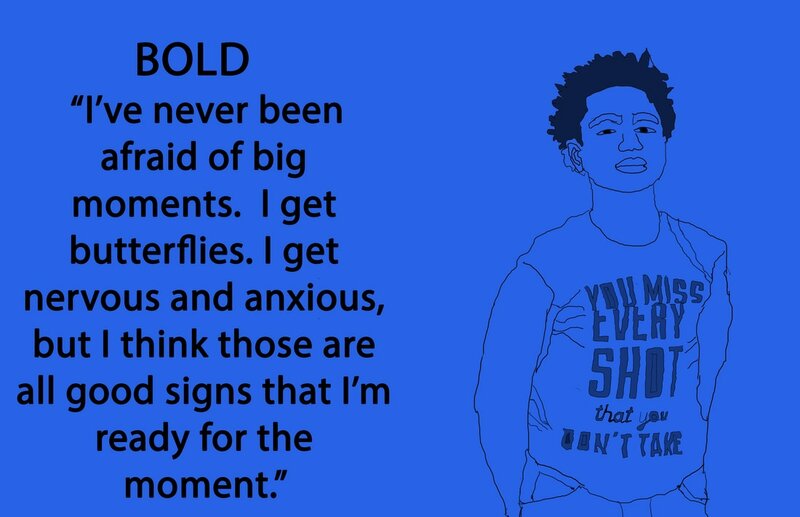 i picked bold for my adjective because sometimes i have to go out of my comfort zone and i am fine with it so that is why i pick bold The reason why i picked this pose was because it looks like i am standing tall and it's like i have pride in my self so that is the reason why i picked this pose. In photoshop i wrote my quote on the side of the of the paper then i drag my photo to photoshop and i put the opacity to 100 then i started to trace my brush was at 3 or 4 because of the lines my back round was blue as you can see . I am Moses and this is my adjective project. This is the black mamba project i pick kobe bryant because he is one of my favorite basketball players so i first pulled this picture because i like it and do you know kobe bryant speaks five language and he was born in italy then he moved to china and he was named after a restaurant and his middle name is bean so his full name is kobe bean bryant he is a five time champion one time MVP three time All-Star MVP and he was drafted to the corrlete hornets then traded to the Los Angeles Lakers his first numbers was 8 then changed to number 24. 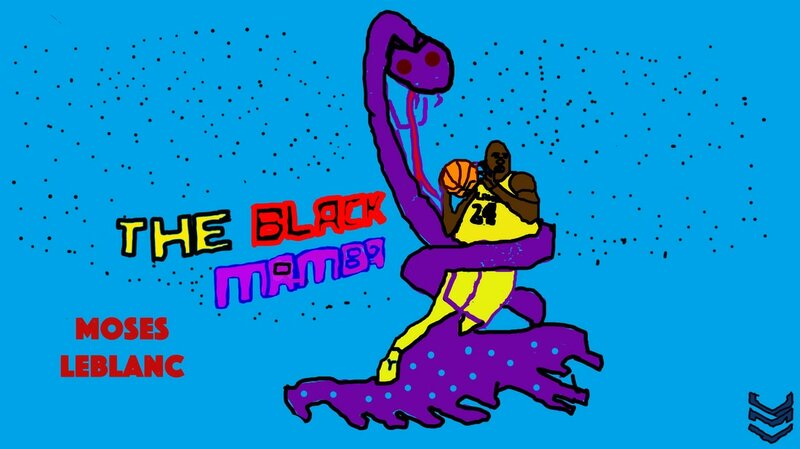 So i went to photo shop and out lined the picture then i took the paint bucket and painted the jersey yellow and the snake purple because that is the Los Angeles Lakers color then i out line and in lined the black mamba name then i put stars in the back round because i think it would look nice so this is my project it is called the BLACK MAMBA.